Pakoras are the staple when it comes to iftar menus. Try out this recipe to give your guests something unique to come back for. 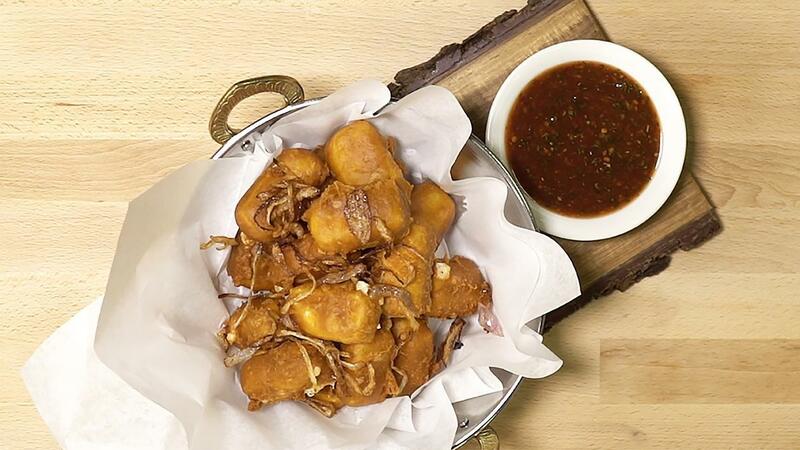 Spicy batter surrounds melting cheese served with spicy chilli garlic and honey chutney. View the recipe below. Make batter by mixing Knorr Batter Mix, oregano and cold water. Dip mozzarella pieces in Rafhan Corn flour then dip into Knorr Batter Mix. Fry in 170◦C Rafhan Corn Oil. For chutney, mix water with all other ingredients and adjust thickness with more water if needed.